Such simple shots, gorgeous natural colour with turquoise - a winning combination! Luv those lamps! Two of my favorite colors that's for use. ..perfect "best man" tie!..as always...great pics! I never thought of that combination before Kellie...you are right, they are perfect! What I wouldn't give to have that blue ceramic (I think) stool...and those vases. That bathroom is to die for! Oh my kellie to have that bathroom.I wish I had a magic wand,LOLIts huge I cant believe there are big bathrooms.lol.Mine is small but then theres just me and my one daughter.I also love turquoise with the natural color as well. Very nice. Loving this particular juxtaposition ... So creative, Kellie! 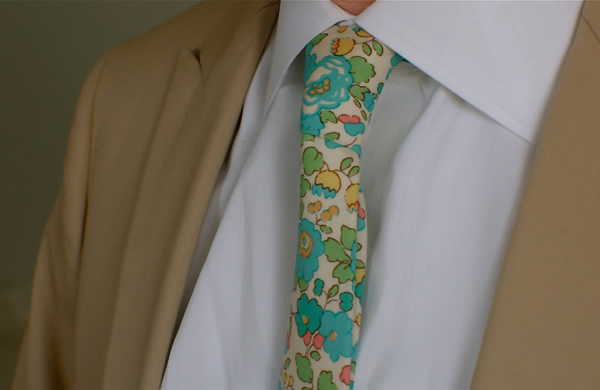 Oh wow, I think that tie is made from Liberty fabric! it is so fresh and clean. 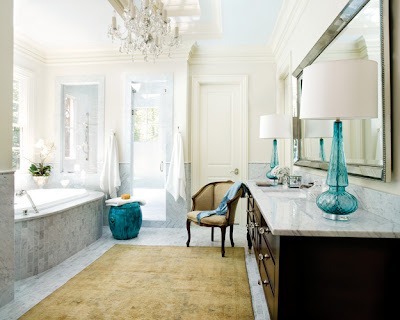 pretty colors, yes, but what I'm really loving are those amazing lamps in the bathroom! I'm liking anything turquoise these days. A little accent piece in a room look fabulous. Nice pop of color. Great photos, Kellie. 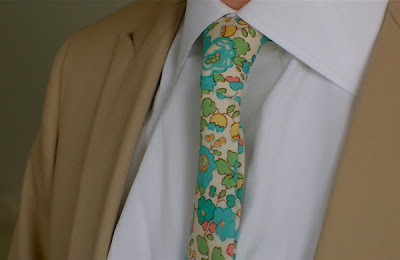 That tie is awesome! Not to mention, that bathroom = perfection!!! !